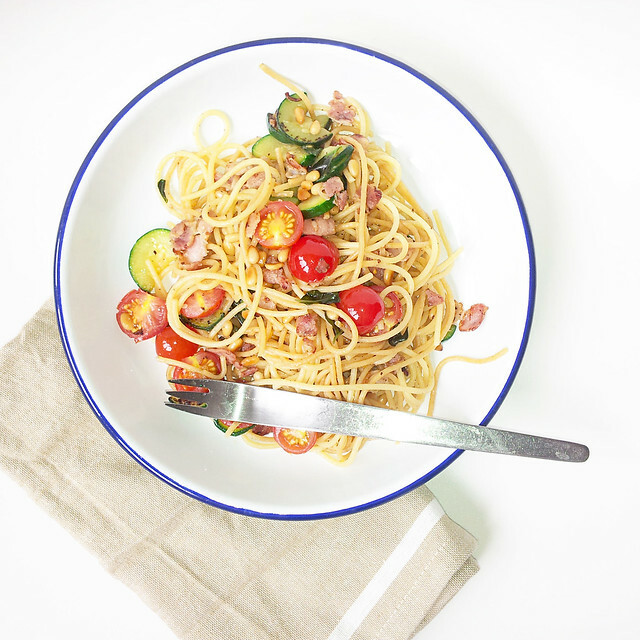 A combo of whole wheat and normal spaghetti tossed with toasted pine nuts, fresh & crisp cherry tomatoes (marinated in extra virgin olive oil, chopped basil, sea salt), pan fried courgette and streaky bacon (or pancetta). Steamed & lightly mashed potatoes tossed in butter and a sprinkling of sea salt. Salmon baked/grilled for 10-12 minutes with slivers of butter, sea salt, freshly ground pepper and a squeeze of honey on top. There are 3 things I just cannot get used to despite having lived in the U.K for 5 years now. One - Accents. There are more accents in England than the number of freckles on my face (and I have a LOT!). Drive 20 miles out of one town and into the next and you'll get someone speaking a different kind of English. I get into a lot of trouble whenever I speak to someone at a call center. I'm sure they want to bash my head in when I say "I'm soooo sorry....could you repeat that again? Pretty please?" for the millionth time. Two - Bureaucracy. How many British government officials does it take to change a light bulb? Answer: 5. One to apply for the permit to change the light bulb. One to process the application. One to approve the application. One to buy the light bulb. One to change the light bulb. Three - the weather. It's even more hormonal than I am and has thrown more hissy fits than some of the naughtiest kids I know. It's officially spring and I steadfastly refuse to wear anymore winter clothes despite freezing my arse off. This is also the very reason why I've also adopted a spring menu recently. Well, that and also I needed to shift some unsightly bulges from overindulgence. 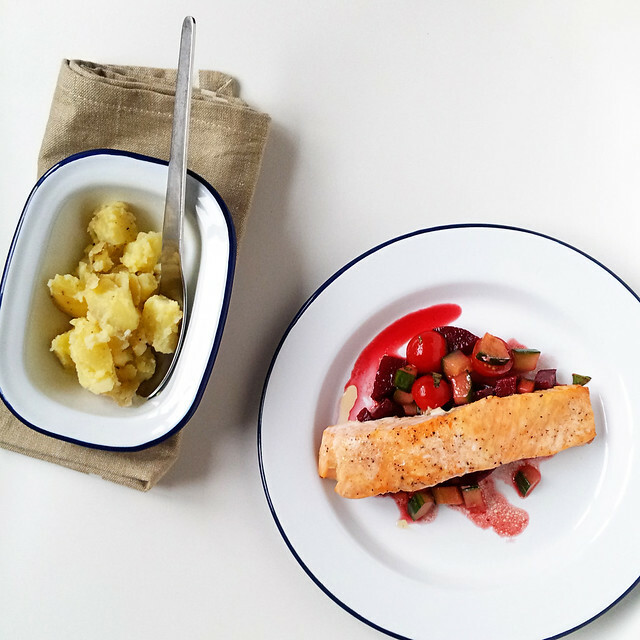 Here are 3 simple ideas, not so much as recipes that you can put together in under 15 minutes. Bon Appétit! I'm really hoping that I won't have to bust out my wool coat for my visit next week, so here's to hoping! The food looks delish, btw. And your previous post on pandan cake... oh my. I haven't had that in eons! Fingers crossed that the weather will cooperate when you get here. I haven't had pandan cake for so long but it was worth the effort. The weather has just turned again ... even the Grumps snuck the heating on for an hour today. 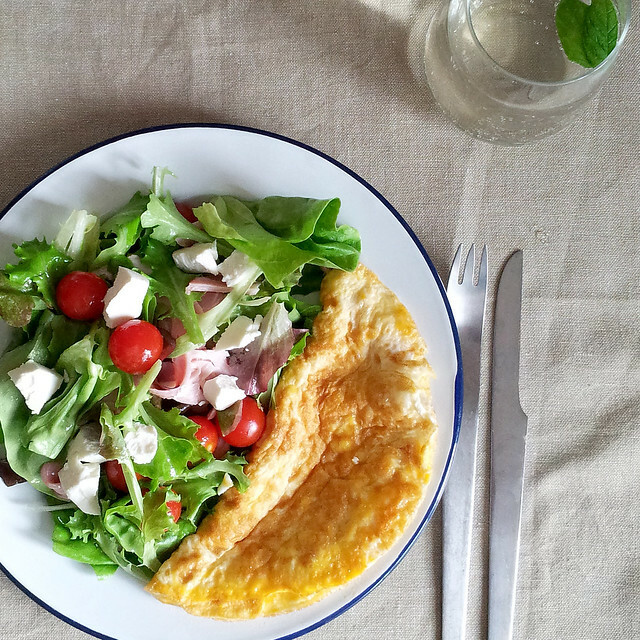 Lovely looking meals - too healthy for me. The Grumps will enjoy though (I cannot do beetroot)! You have freckles? I never noticed! You continually crack me up Marlene but beyond that you always inspire me with your great recipes. Love that these are quick but at the same time look and sound yummy. Thanks for sharing! Hoping the weather warms up over there! LOL. I have never heard of weather being "hormonal" before, but it's a good word for it. Yesterday in Seattle, it was stormy one minute and sunny the next. Really unpredictable. Yum! Whole wheat pasta looks yummy. Thanks for sharing. When you get a chance, please take a look at my beauty and skin care blog. Oh, these meals look so delicious! I will keep them in mind... Love your sense of humor so much!